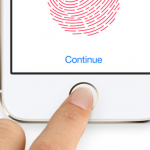 It’s clear Apple’s “iPhone 6” – or “iPhone Air” – will sport a Touch ID fingerprint sensor like its predecessor. 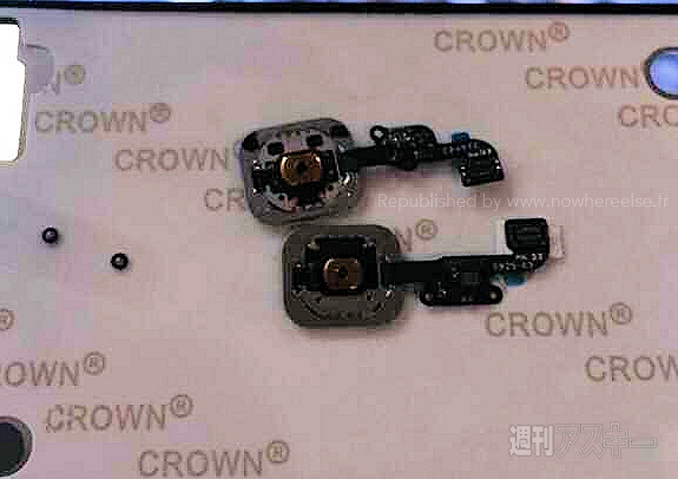 Now, an image purportedly showing the Touch ID sensor designed for Cupertino’s next-generation handset has hit the Web. 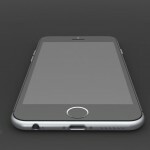 Published by Nowhereelse.fr (via MacRumors), the image of the sensor indicates that Touch ID on Apple’s next-generation iPhone will work much the same as it does on the iPhone 5s. Besides relocated screw holes, the two sensors (pictured above) are almost identical. Back in May, we explained that Taiwan Semiconductor Manufacturing Company (TSMC) had already provided Apple with the first Touch ID sensors for its upcoming iOS devices. Apart from the next-generation iPhone, Apple’s iPad Air 2 and iPad mini 3 are also expected to feature a built-in fingerprint scanner, and this will prove particularly useful since iOS 8 allows iOS developers to utilize Touch ID in their apps. Both PayPal and AgileBits’ 1Password (among others) are expected to add Touch ID support this fall, yet if a recent report has it right, Cupertino may eventually be forced to abandon the “Touch ID” name unless it’s successful in securing a trademark. Recently, we heard that production issues with Apple’s 5.5-inch “iPhone 6” could delay the launch of the handset until 2015. Fortunately, however, a subsequent report from the Taiwanese media noted that the problem – issues with “in-cell touch panel and metal casing” – had been resolved. As such, we’re expecting to see Apple’s 4.7-inch and 5.5-inch next-generation smartphones launch this coming fall. We’ll keep you updated with further information as we receive it. In the meantime, see: Paul McCartney relaunches 5 of his classic albums as iPad apps, Out There’s ‘Ω Edition’ update to bring new aliens, ships and a different ending, and We have liftoff: Starborn Anarkist’s anticipated update blasts into the App Store.